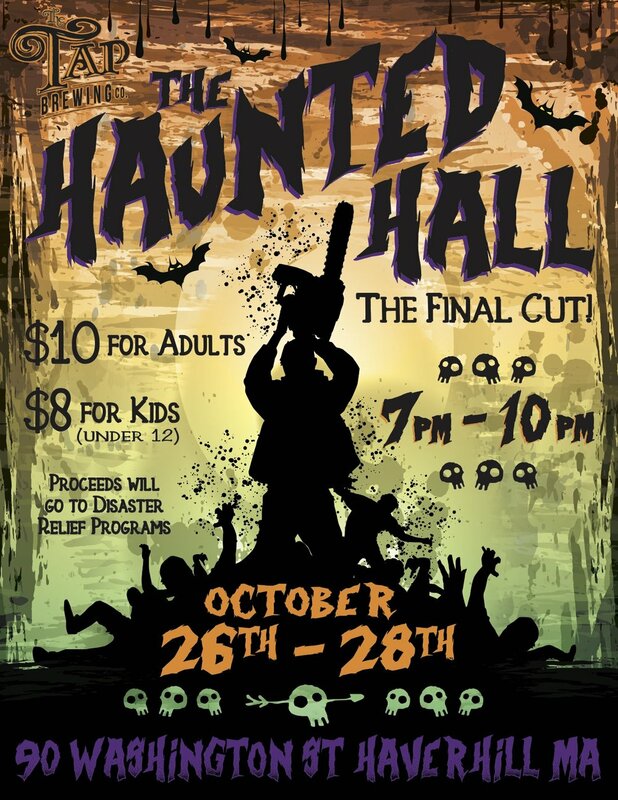 The Tap Brewing Company is proud to present our third and final year of The Haunted Hall! Three nights of terror! October 26th-28th, 7pm-10pm. Next Door to The Tap at 90 Washington St. $10 for adults and $8 for children under 12. All proceeds will be donated to disaster relief organizations. Enter if you dare!